If you've been following this Disney series, I'm sure you can guess my answer to this one. The prettiest princess is - of course - Belle. I assure you that my decision in this matter has nothing to do with my extreme bias for the Beauty and the Beast story. It's actually mostly just because she has the same color hair as me. 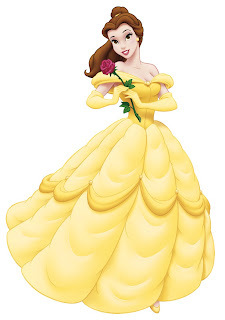 (This is Amy--from Pinterst)--being a brunette, I'm pretty sure that's the reason Belle initially became my fav princess, too! LOL It wasn't til later that I truly came to appreciate her!